A brief history | Banca de Economii S.A. The history of Banca de Economii S.A. begins on November 11,1940, when the Supreme Soviet Presidium of the Moldovan SSR issued a decree which established 7 county divisions of the State Savings Bank: in Chisinau, Balti, Cahul, Bender, Orhei, Soroca, and Tiraspol. 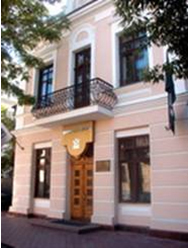 With the reorganization of the financial and banking system in 1987, the State Banks for Earned Savings acquired the status of the Bank for Earned Savings and Loans to Population which was later changed into the Republican Bank of Moldova, a subdivision of the State Savings Bank of the USSR. In 1992, the Republican Bank of Moldova under the Savings Bank of the USSR was reorganized as the Savings Bank of Moldova, thus becoming a state-owned joint-stock commercial bank. On December 16th 1994, the General Shareholders' Meeting took the decision to change the statute of the bank into an open-type joint-stock company, and in 1996 it was named "Banca de Economii, a Joint-Stock Commercial Bank". On June 18th 2001, the Joint Stock Commercial Bank "Banca de Economii" was re-registered as the Joint-Stock Company "Banca de Economii". During 72 years, the Bank was the pylon that has maintained the customers’ trust in the banking system by developing the culture of keeping money in the bank. As a result, the significant number of deposit accounts of more than 2.4 million assumes a high responsibility in the management of the funds attracted from the account holders. With the increasing number of deposit accounts, Banca de Economii created and developed among the population the dexterities to use banking services. People occupy a central position in the mission of Banca de Economii. The investments in the professional skills of the employees are the best way to ensure excellent services for the customers. The considerable number of the employees makes Banca de Economii S.A. one of the most active national employers and a socially responsible institution by definition. Throughout 72 years of achievements and success, Banca de Economii changed its structure, statute, but the title of the People’s bank has remained to be intact. During these years, the Bank’s responsibility towards the society, employees, partners and shareholders has consolidated, so that the premises have been created for durable and trustful partnerships. Banca de Economii S.A. has taken the exact measures and has implemented the projects, that have had a big impact on the development of the society generally and of the financial-banking sector in particular. One of the essential advantages of Banca de Economii is accessibility of the services through the unique network of subdivisions, which is extended throughout the whole territory of the country and in each territorial – administrative unit. Moreover, the bank offices are connected to the unique on-line system, so that the information may be processed quickly, confidentially and safely. More than 570 branches and agencies make Banca de Economii the biggest Bank in the country according to the network of subdivisions. The use and benefiting from the advantages offered by the range of products at the accessible prices provide for the incontestable opportunities for the customers in order to use and to invest their funds in the most reasonable and competitive way. To maintain and to increase the customers’ trust in the banking system, Banca de Economii has extended and diversified the range of services rendered, being for many times a pioneer in implementation of the products or services at the market. Individuals are the customers segment, which experienced the biggest development both as for its number and as for the funds brought to the Bank. The business transparence is reflected in each action of the Bank. The true information on the Bank’ s activity as well as the price policy is accessible for all its customers. The Bank makes continuous efforts to consolidate the unified and centralized system of fees on the bank services and products throughout the entire territory of the country and in all bank subdivisions. Offering integrated and complex services, the Bank takes into account the efficiency of the effectively established relations on the cumulative financial result, ensuring competitive advantages to each customer that has chosen to cooperate with the Bank.